Click the image to watch the video. Promotional video with acto Patrizio Rispo. The “Joint Action” meeting closed the “18th Week of the Italian Language in the World”. The “Week” is promoted yearly by the Ministry of Foreign Affairs and International Cooperation, in partnership with the Accademia della Crusca. The subject of this edition of the Week (October 15-21) was “Italian and the web, social networks for the Italian Language”. 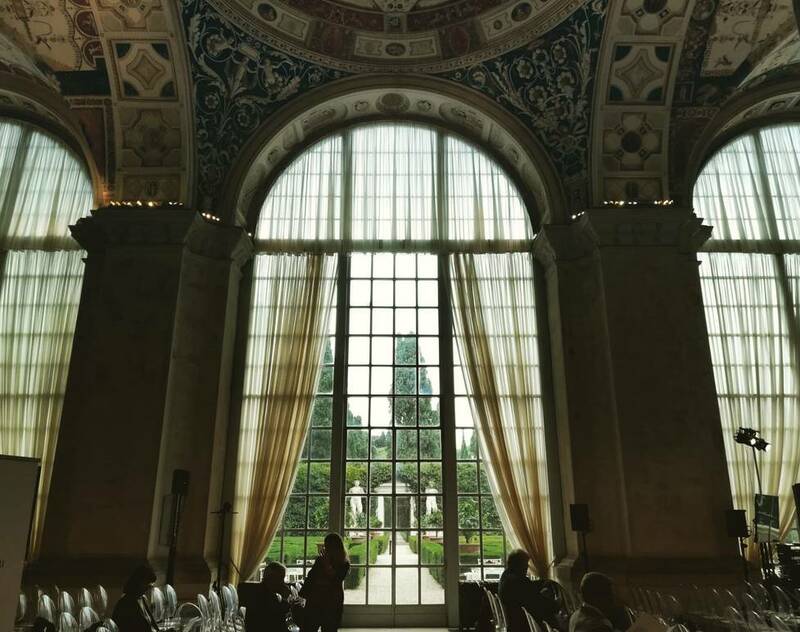 The “Joint Action” offered an opportunity for professionals engaged in the diffusion of the Italian language abroad to gather and discuss major strategies of cooperation. Language is a widely acknowledged tool of diplomatic engagement – as it emerged from the inaugural speech delivered by the Minister of Foreign Affairs and International Cooperation, Enzo Moavero Milanesi. In his speech, the Minister stressed the prestige of the Italian language, as it is universally “associated to beauty”. Over the past decades, Italian language became the lingua franca in the Mediterranean. Nowadays, it has the potential to facilitate political penetration in “areas considered to be strategic for Italian foreign policy”. The event was articulated into two Plenary Sessions. The first session focused on “Italian in the Internet and on Social Media”, and featured representatives of companies such as Facebook and Google; the second session dealt with “Italian Language Networks in the World” and saw the participation, among others, of industrialist and essayist Piero Bassetti and writer Lila Azam Zanganeh. In Bassetti’s opinion, at its glocal stage, the world system “has abandoned territoriality in favor of mobility and functionality”. The contemporary system knows no other extent than the web itself. Under these circumstances, Italianness cannot be reduced to Italy as a single territorial unit. On the contrary, it involves a much wider network connecting all the people that are subject to Italian soft power – that is to say, the “Italics”. Needless to say, the Internet could be an useful tool to bring together all the Italics in the world. Followed the reports presented by the three working groups on “certification of the language”, “the Italian education system in the world” and “strategies for the promotion of the Italian Language”. The closing remarks were delivered by the Undersecretary for Foreign Affairs and International Cooperation, Guglielmo Picchi, who claimed, among other things, that the Ministry has already given instructions to the Italian embassies all over the world. The embassies will cooperate in order to “increase the number of Italian language students, in the next two years”. 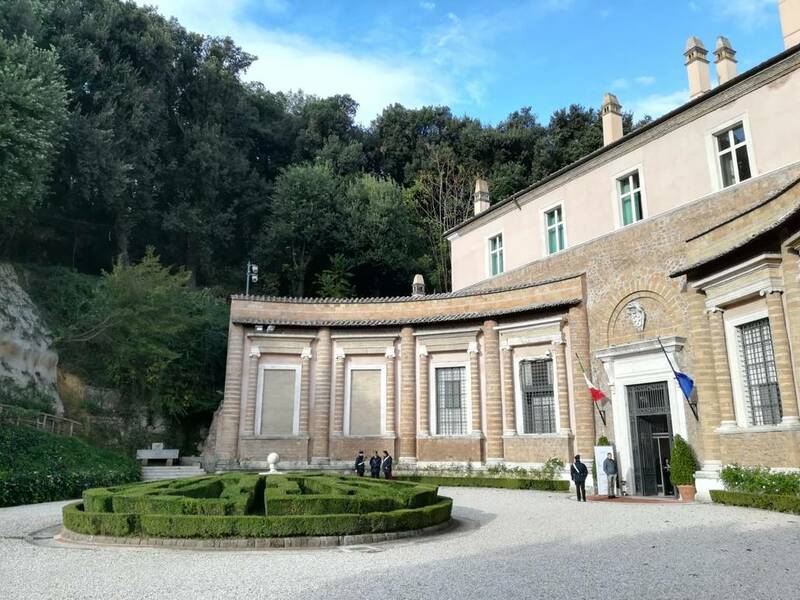 The following day, the participants were formally greeted by President of the Italian Republic Sergio Mattarella at his official residence, the Quirinal Palace. In the presence of the Minister of Foreign Affairs and the Minister of Education. 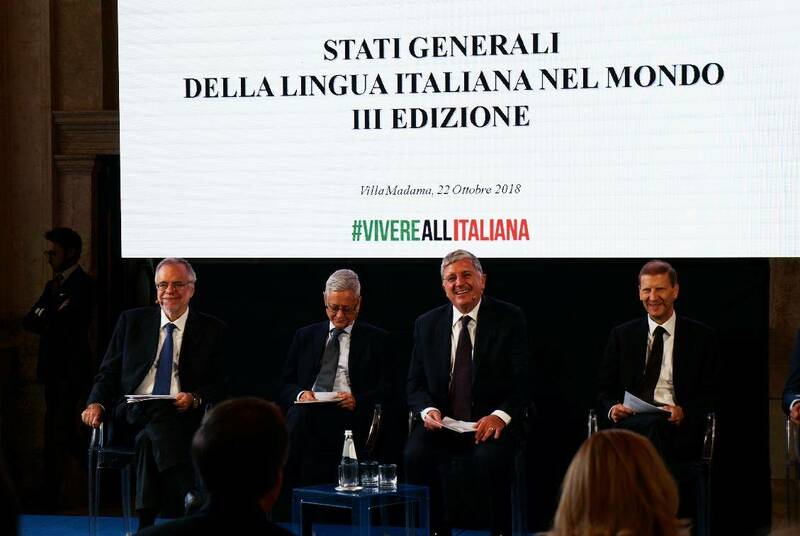 President Mattarella praised the inquiry conducted by the Ministry about the relationship between the Italian language and the new information technologies. Internet is helping Italian language to spread around the world with increasingly surprising speed, as it is pointed out by a survey covering up to 115 countries. A significant increase has been recorded in sub-Saharan Africa (+14%) and in Middle East (+22%), with Egypt jumping to the front of the queue. 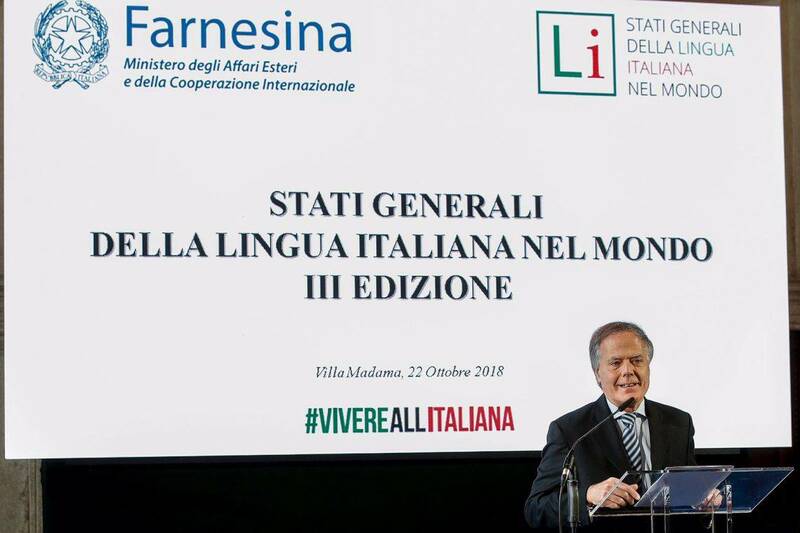 Italian language confirms to be one of the most competitive global languages, deriving its status from centuries of literary and scientific production. The Italian language students' community has seen an overall increase of 3,85 percentage points. President Mattarella also took the opportunity to hope for “a more widespread presence of the Italian language online”.